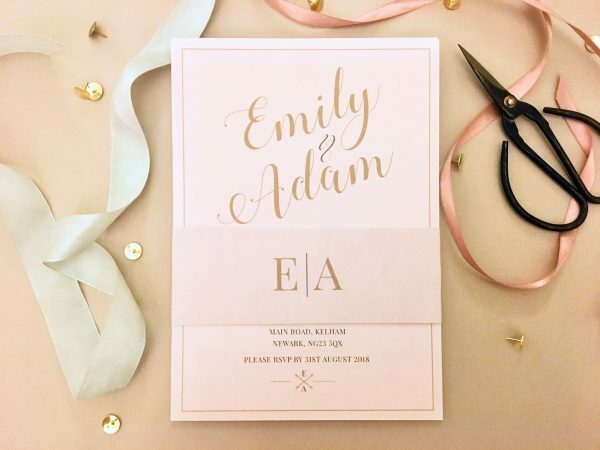 Tell your guests about your special day with these lovely invitations. 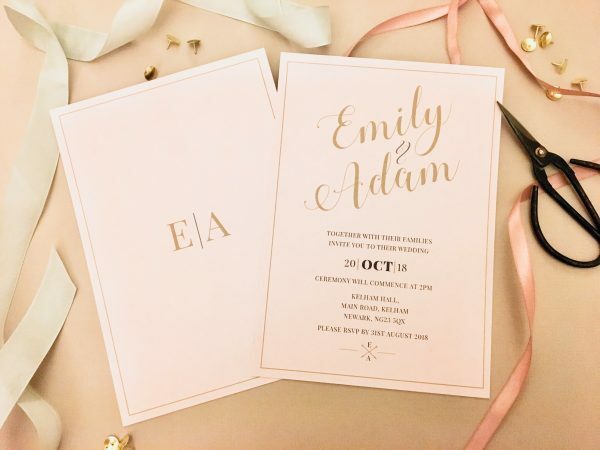 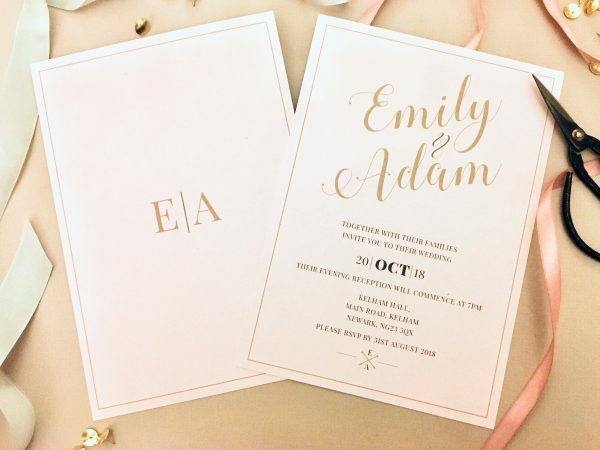 This elegant and classic invitation is simple, yet effective and completely on trend with it’s blush colour. Printed on 350gsm card, A5 in size (148mm x 210mm) and comes with a C5 white envelope. 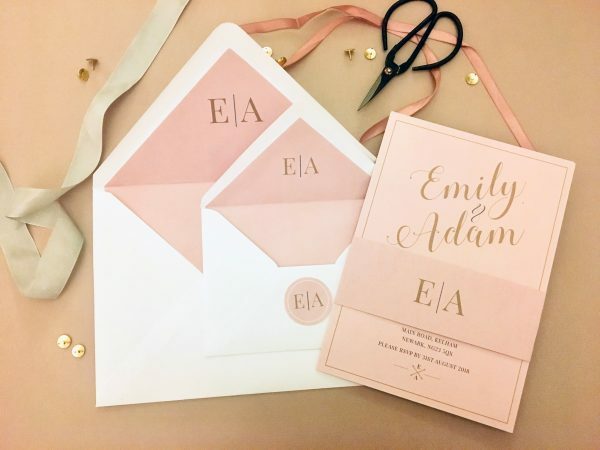 Envelope liners can be added for an extra cost.